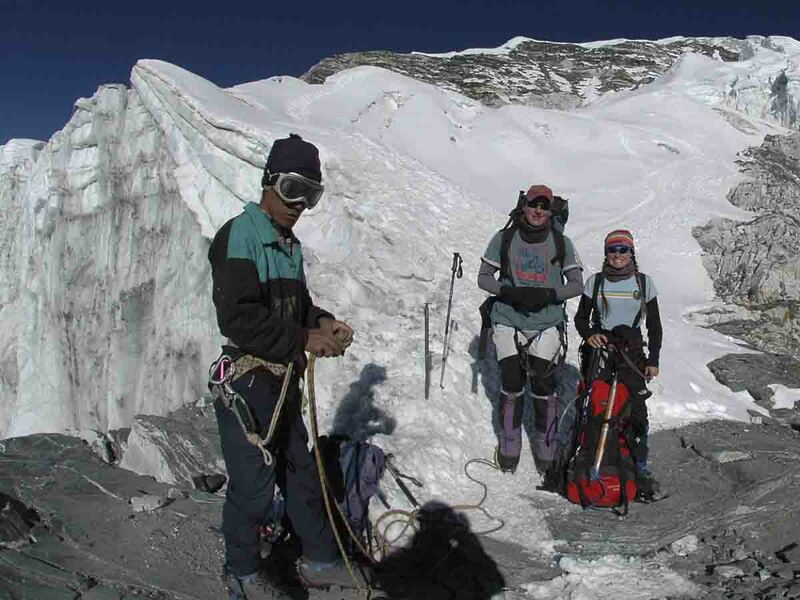 Island Peak is one of the popular peak which lies in Everest Region. It is also comparatively easier than other expeditions. The Island Peak is also known as Imja Tse. When we look at the Island peak from Dingboche, it looks like an island between the sea of snow. 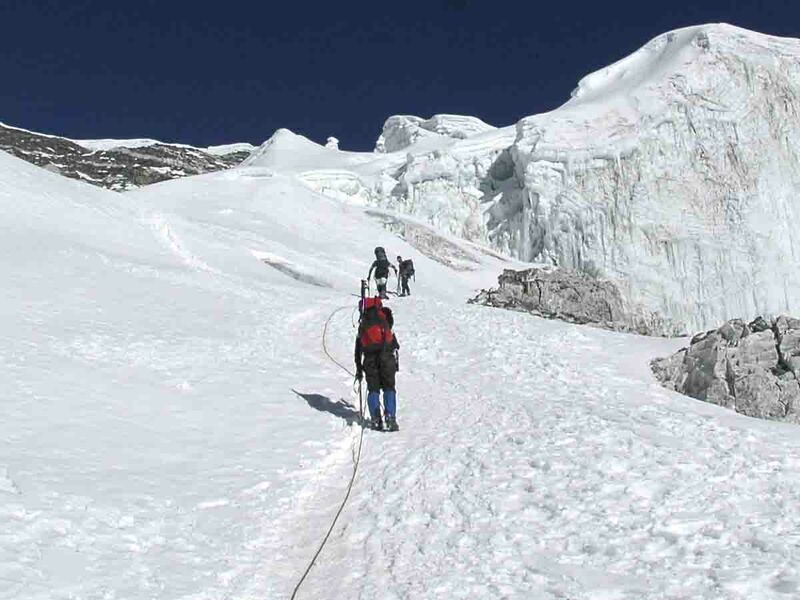 It was first climbed in 1956 by an expedition team that was preparing to climb the Mount Everest. The summit of this peak is a difficult climb across ice and snow. The top compensates climbers for their difficult journey with incomparable mountain views of Ama Dablam (6,856) and Makalu (8,481 m). 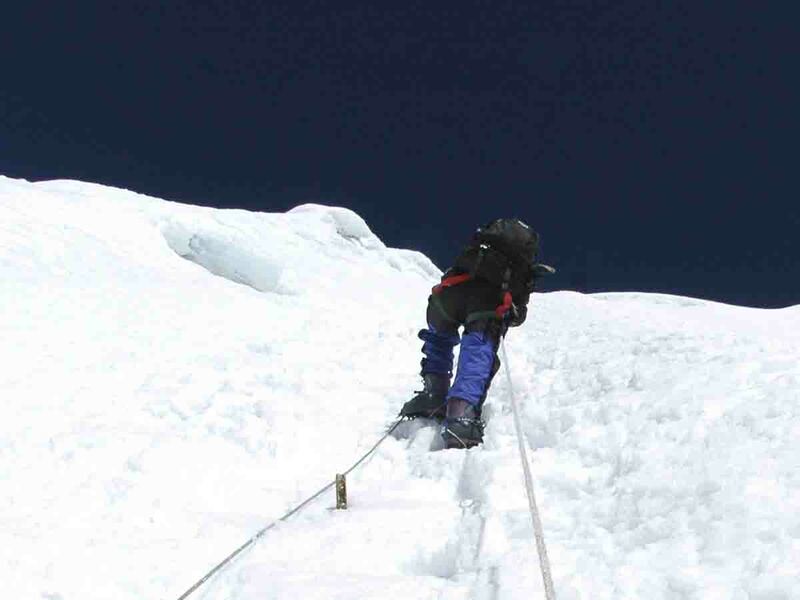 The descent is comparatively easier and faster than the ascent. The trek to Island Peak also takes us through the countryside of Everest region, where we immerse in centuries-old Nepalese and Tibetan cultures. The journey offers some of the most striking scenery in the Khumbu via the enchanting village of Dingboche. Filled with Buddhist shrines, this village of stone charms our path to the mountain. Sightseeing/Free day in Kathmandu-For sightseeing, we will be visiting three of the World heritage sites in Kathmandu and other interesting sites via private vehicle. Kathmandu-Lukla(45 minutes) Flight and trek to Phakding 2652m, 3 hours trek- Early in the morning, you will be transferred to domestic airport for flight to Lukla. early in the morning. Flight to Lukla is an amazing experience as it fly over beautiful mountains and hills. After reaching Lukla, you will have to trek to Phakding, a beautiful place with green landscape and view o Kusum Kangararu and overnight at lodge on full board meals. Phakding– Namche(3440 m. 6/7 hrs We trek through Himalayan pine and deodar forest following the Dudh Koshi river to reach Namchebazaar. Namchebazaar was famous as trading center as it was Nepalese and Tibetan traders common ground for exchanging salt, dried meats, textile etc. You will spend two days exploring lives in this area, shopping and for acclimatization. Acclimatization in Namche Bazaar As the climate here is so unpredictable and cold so, you should be physically and mentally prepare to face it. After breakfast you will hike towards Everest view Hotel/Khumjung. We have to go above Namchebazaar and pass through Syangboche. From the top of hill above Syangboche you will get view of world highest peak, Mount Everest(8848m) and other peaks like Tangboche peak (6367m), Lhotse (8414m), Ama Dablam (6856m) & many more others. After reaching to Khumjung you can visit school established by Hillary. We will start next trek after having lunch passing the foot path of Khimde. After having good time here you will get back to Namche. Overnight at guest house inclusive of full board meals. Namche- Dhole(6 hours 4130 m.)- The trails are easy in the beginning up to Kyangjuma as flat with panoramic views. Then after ascend & descend out of the valley through rhododendron pine forests, which give way to perfumed of juniper and as the elevation increasing. This trek is especially beautiful when the rhododendrons are blooming. In the summer, local settlements used when Sherpa bring herds of yaks to graze in these high grazing land. The route passes through the settlement of Mong La (3880m)Tongba (3950m) and Gyele (3960m) then after reach to Dole where several lodge are available. The views of Clolatse (6335m), Khumbila (5765m), Tawache (6542m) and Cho Oyu through forest on the way to Dole are incredible throughout the day.Overnight at lodge, on full board meals. Dhole – Machhermo (4 hrs 4520m) Trail ascends for Machhermo via Lopharma at (4300m) and Luza at (4360m). The tail leads mostly steep as it ascend through encounter junipers. The trails go on to climb along the valley, high above the river, crossing a small pass to Machhermo . At the valley of Machhermo in 1974 Yeti killed three yaks and attacked a Sherpa woman. This is the most yeti incident ever reported since that date. Overnight at lodge, on full board meals. Rest day in Gokyo. (Optional early morning climb to Gokyo Ri for mountain views)Early wake up and ascend to the Gokyo-Ri, for panoramic view of Himalayan range, it takes approximately two hours climb to the top of the peak. It offers a panoramic view of Cho-Oyu, Gyachung Kang, Everest, Lhotse, Makalu, Cholatse and Tawache & a long huge looking of Ngozumpa glacier. It supposed a largest glacier in Nepal. After taking pictures & recorded in your brain descend to the lodge then eat lunch & relax. Overnight at lodge, on full board meals. Early morning trek to Chola Pass (5430 mtrs 8/9 hours) Over night at Dhongla (5060 mtrs)accomodated by lodge. Trek to Lobuche. (Option of resting for one more day at Thukla for acclimatization) - (4910m) 5 hrs walk We have to trek along a broad valley floor to Dungla. Specially, Lobuche is Yak pasture, with beautiful sceneries of mountains. Overnight at guest house inclusive of full board meals. Trek to Kalapathar and back to Dingboche for overnight - (5400m) 8 hrs walk- Climb to Kalapathar. From here, we can see the entire south face of Mt. Everest and peaks around & skyline of Tibet. Same day we will descend. Trek to Chhukung (7/8 hours 4730m) Over night at lodge. 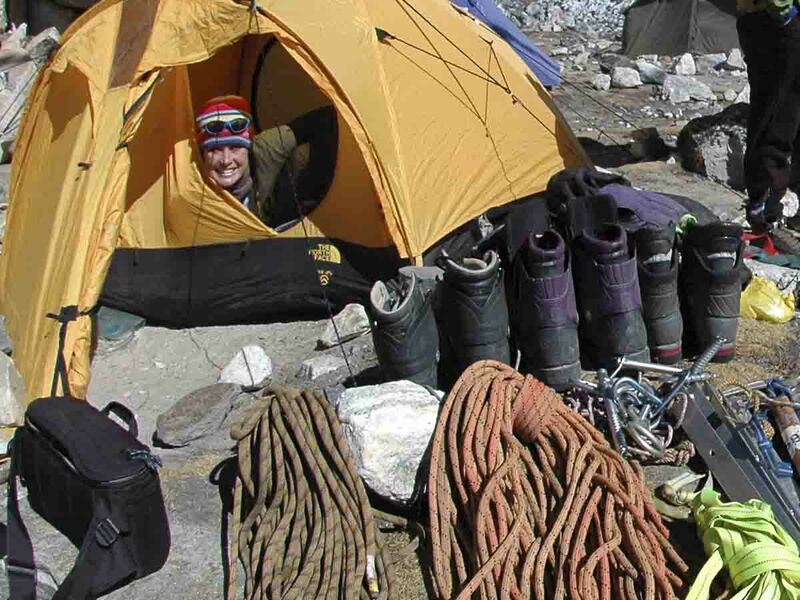 You will be meeting your climbing guide and check all the equipment. Island Base Camp-Island High Camp (Imja Tse) (5/6 hours. 5820 mtrs.). Over night at tent. High Camp-Summit(Imja Tse) 6189m and back to Base camp/Chhukung. Over night at lodge. Pheriche-Tyangboche(3868 mtrs. 5/6 hours.) Over night at lodge. Thyangboche-Monjo (7 hous.). Over night at lodge. Monjo-Lukla(7/8 hours)- Trek continuously back to Lukla along the Dudh Koshi river, Lunch at Phakting and overnight at Lukla with dinner and breakfast. Free Day At Kathmandu/Departure-This day you can enjoy free a day at Kathmandu or depart for your home or other destination.